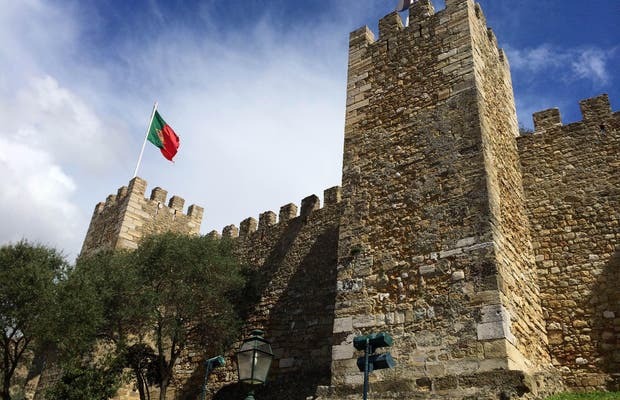 St. George´s Castle is located on the highest hill in Lisbon, Portugal. Inside, one can be transported to long-ago and medieval times while enjoying the excellent preservation of this important Portuguese monument. Also, we had the pleasure of hearing a fantastic concert performed by a guitarist ve played spontaneous works by Granados and some other Spanish composers. We also saw a panorama of the city through a periscope located in the highest tower of the castle. You can admire the city and the river from here. It’s available to get onboard the wall, the sights are amazing.